I bought this cello in 2004. I had been playing on an anonymous French cello for around two decades and I think there must have been a rumour that I was looking for a new instrument because I suddenly got a phone call from Christie’s in London. They had been offered this Guadagnini cello and they thought it might be of interest to me. So I went to London to try it and decided to go for it. Nobody knew of its existence before because it had been in the possession of a Zurich pharmacist who had bought it in the 1930s. He was an amateur cellist and it hadn’t been heard played by a professional for seven decades, so it was an unknown entity. But I was advised that it was a superb, healthy instrument. I’ll never forget the day of the auction – it was very exciting! I was hiding and somebody was bidding on my behalf, but nobody knew this person was bidding for me, so the dealers that were present were a little shocked when they found out. I was prepared to bid all the way because this was my chance to take my first step on the Italian cello ladder, and it paid off. I got it and it was just affordable. It was like a fairytale. The cello went straight to a violin shop that afternoon so that I could take it to Germany the next morning for a concert. It still had a wooden endpin, a funny tailpiece and gut strings so it needed some adjustment. Of course I’d been celebrating heavily over lunch, and I picked it up in a bit of a state at the end of the afternoon! The next morning at 6am I was at Heathrow flying off with it. The rest is history – I’ve been playing it for 13 years now and I’m still deliriously happy with it. After six months I had the bassbar and soundpost changed, just to make sure it would last for another 50 years. It felt like it was restored to its original strength after that, although that’s a funny thing to say, because of course in the 1700s it would have had a different set up with a different bassbar, but I mean the character of the instrument is that of a very virile young cello. The bigger the hall, the happier it is. That’s the amazing thing about some of the great Italian cellos. Of course there’s character for the player to enjoy, but the real sound only develops in space, and what this cello does – it blooms. It’s nothing short of miraculous. You don’t necessarily hear the warmth and the fantastic range of overtones when you play it, but I’ve learnt to trust it and it beats a Steinway, it beats an orchestra, it’s just fantastic. The cello is around 71 cm long so it looks quite small, but the bass surprises everybody. I’ve played many Schubert quintets as the second cellist and nobody can believe the depth of this cello. I didn’t need to adapt much to play the Guadagnini. I’ve been raised on simple instruments with gut strings, so my bowing technique was always poised to produce a big sound. Gut strings are less forgiving than steel, so you need to be very precise and to control your bow more. That background has made me quite adaptable and I was able to make the Guadagnini sound as I wanted. I rarely use gut strings on the Guadagnini, but I wish I did more. The last recording I used gut for was the second volume of my Schubert–Brahms project, which includes the Schubert flute variations and the E minor Brahms Sonata played with two pure top gut strings. The overtones, the brightness you get with gut are unbelievable – the sun just shines out of the loud speakers it’s so radiant. So I should maybe go back to my roots and play gut only. But then having said that, next month I’ll be playing Dvořák concertos with a wind ensemble arrangement and before that I’m doing a second recording of the Elgar Concerto, so I need to be very powerful. But I do feel guilty; I think there’s a dimension of beauty that can’t be reached with steel strings. I have a Barak Norman Baroque cello that I used for the first 20 years of my career. I also borrowed a 1710 Pieter Rombouts cello for my third Bach recording, but the fourth Bach recording will be on the Guad. My dream is to do a live recording in a nice venue on the Guadagnini – when the venue’s great then it’s just a complete feast to play this cello. Pieter Wispelwey plays a cello made by Giovanni Battista Guadagnini in 1760, during his time in Parma. 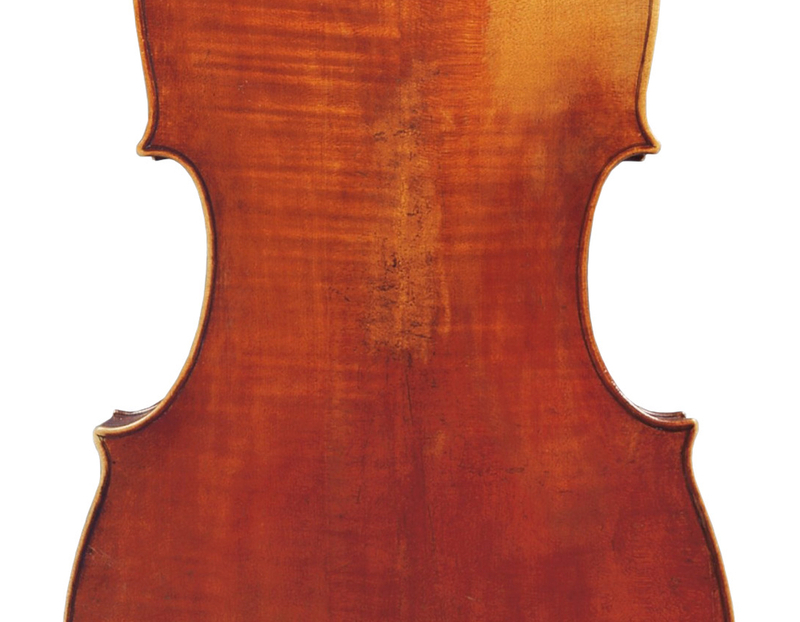 In the late-17th and early-18th centuries the violoncello underwent a spectacular transformation of size and model owing to two simultaneous developments. 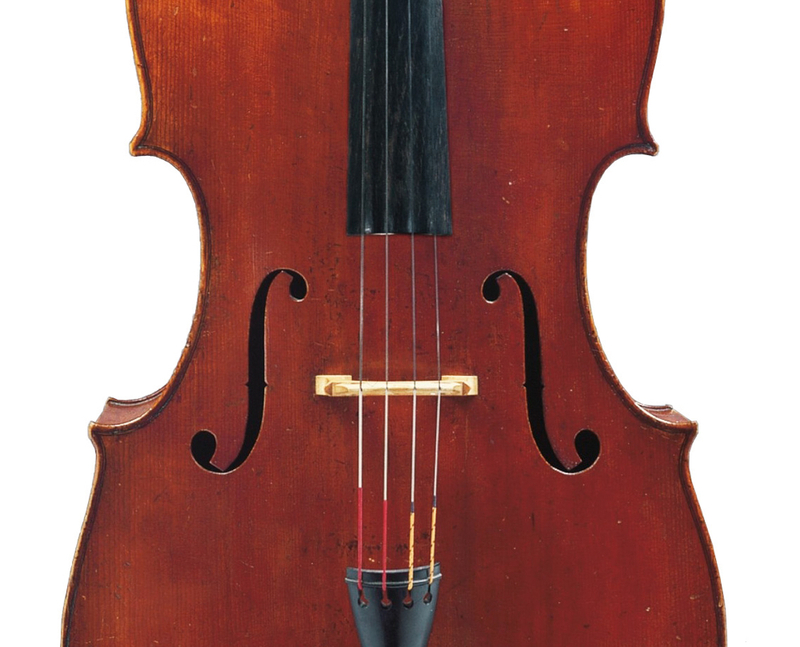 First, the invention of wire-wound strings allowed instrument makers to build cellos with a significantly shorter string-length; and second, composers began writing virtuosic music for the cello which demanded a more manageable and manoeuvrable instrument. 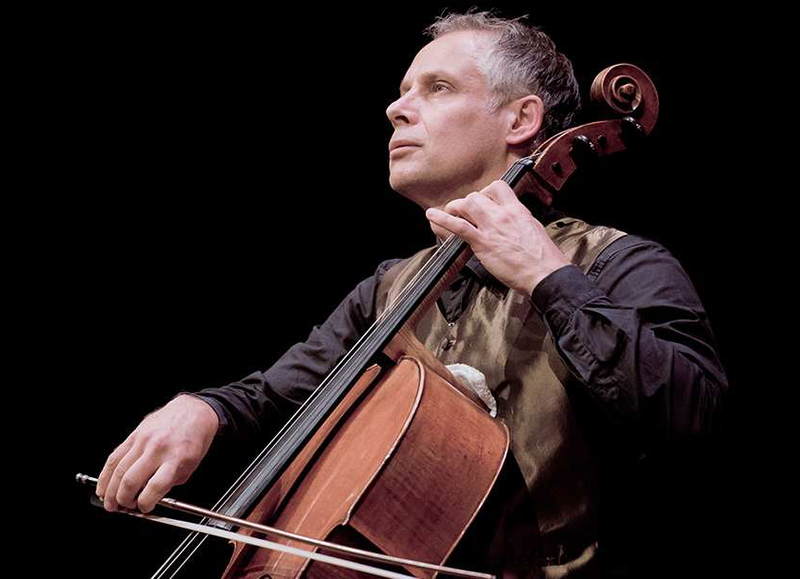 Over a short period of 50–100 years, the function of the cello and its role in the ensemble changed rapidly. No longer just the bass voice in a processional or the continuo in a consort, by the early-18th century the cello had come into its own as a solo instrument, leading cellists to seek instruments that they could play with greater agility and a quicker response. Guadagnini is known to have had close associations with various musicians during his career, including the virtuoso cellist Carlo Ferrari. It is perhaps unsurprising therefore that his cellos have long been favoured by soloists owing to their smaller size and more manageable proportions. 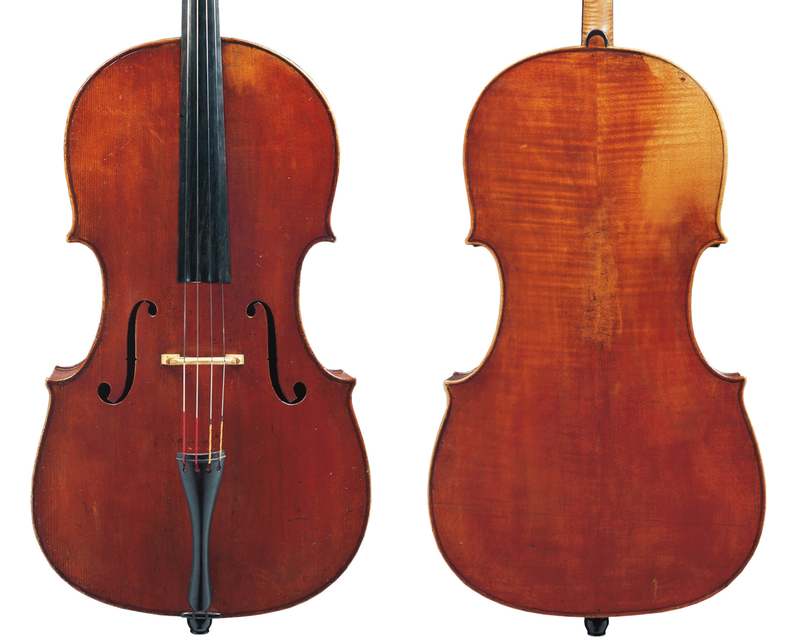 Pieter Wispelwey’s Guadagnini has a back length of 71 cm, which is substantially less than the 77–78 cm standards used by nearly all Italian makers a century earlier. The enduring appeal of Guadagnini’s cellos means that nearly three centuries of cellists have turned to them for their compact and focused sound, rich timbre and exceptional clarity and projection.